Canada's Bianca Andreescu makes a backhand return to United States' Whitney Osuigwe during their first-round match at the Australian Open in Melbourne on Jan. 15, 2019. 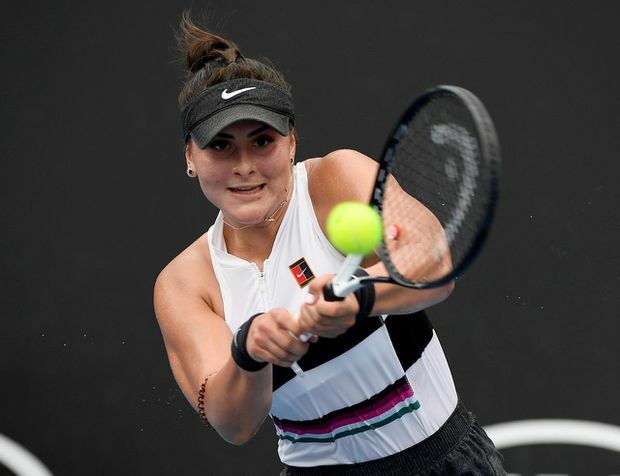 She has selected rising star Bianca Andreescu to play two singles matches and the doubles match with Gabriela Dabrowski in the best-of-five tie. Françoise Abanda was tabbed to play the other singles matches indoors on red clay at the Maaspoort Sports & Events facility.